WASHINGTON (CNS) — Reconstruction of churches, schools and novitiates destroyed in Haiti’s 2010 earthquake is continuing following brief work stoppages because of pre-election protests that at times turned violent. The confrontations forced construction managers to suspend the work at several sites around the capital of Port-au-Prince as Haitian officials dealt with a vacant presidency and settled on April 24 as a new date for the twice-delayed national election. Where construction is continuing, progress is advancing at a good pace, said Jacques Liautaud, Haiti manager in the U.S. bishops’ Office of National Collections, who returned from the country in late February. Four facilities are completed or near completion and were to be dedicated in April. Auxiliary Bishop Eusebio Elizondo of Seattle, chairman of the Subcommittee for the Church in Latin America of the U.S. Conference of Catholic Bishops, planned to represent the bishops at the dedication of the new buildings. On tap for dedication are St. Augustine School in Trouin, near the coastal community of Jacmel; St. Genevieve Church in the mountains northwest of the capital; Our Lady of Guadalupe Church in Carrefour; and a novitiate in Leogane for the Companions of Jesus, an indigenous religious congregation. The people in the villages around St. Genevieve Church particularly are pleased with their new church, Liautaud told Catholic News Service. “The people call it ‘The Palace,'” he said of the modest structure which happens to be the largest for miles around. It is the only rural church the Partnership for the Reconstruction of the Church in Haiti, or PROCHE, has built. Parishioners at St. Patrick-St. Anthony Parish in Hartford, Connecticut, assisted in the project, raising about $50,000. PROCHE is a cooperative venture involving the Haitian bishops’ conference; U.S. Conference of Catholic Bishops; Catholic Relief Services; Adveniat, the German bishops’ agency for solidarity with Latin American development agencies; other bishops’ conferences and private foundations. The partnership began in late 2010 with $33 million, a portion of a special collection initiated by the U.S. bishops after the earthquake. Liautaud said about $11 million remains from those funds to be allocated. Several new projects are under consideration and will be discussed when PROCHE meets in the fall. “We’re identifying priority projects with our partners and the church of Haiti,” Liautaud said. 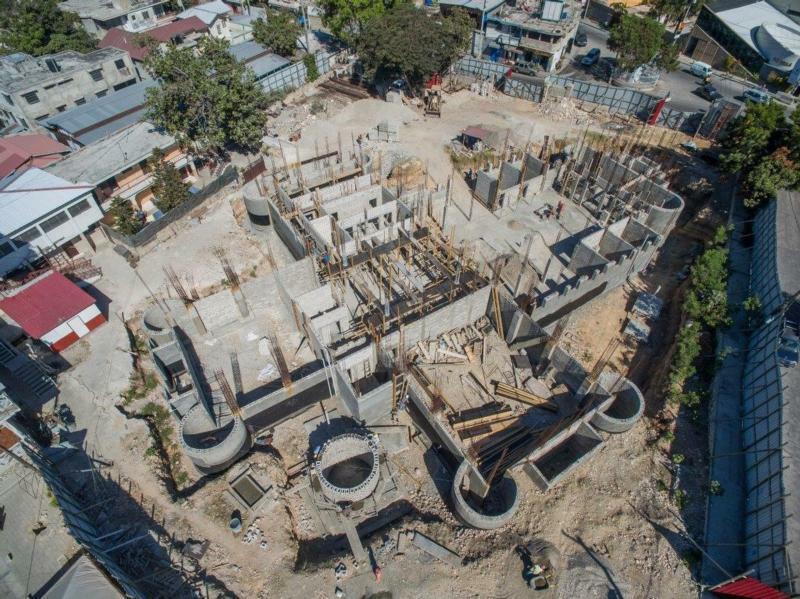 Meanwhile, work has restarted on well-known churches in Port-au-Prince, including Sacred Heart, Christ the King and St. Louis King of France, as well as St. Theresa Church in Petionville. All of the projects were delayed when businesses closed and construction supplies were not delivered during the off-and-on protests. Overall, about 20 projects are underway, Liautaud said.